While taking the train in Myanmar is not advised as (1) it is bumpy, (2) it is slow, the train ride crossing to Goteik Viaduct might change your mind. 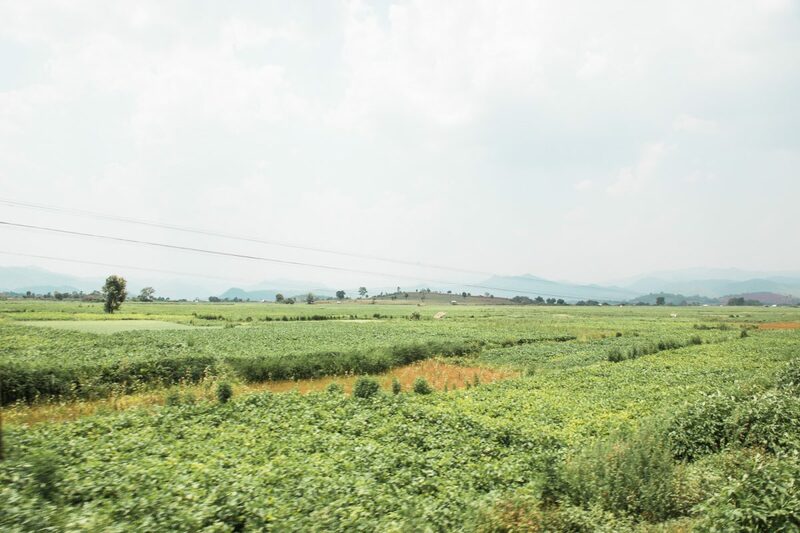 A railroad stretching from Mandalay all the way to Lashio, stopping in the beautiful towns of Hsipaw and Pyin Oo Lwin, with a total length of almost 300km. 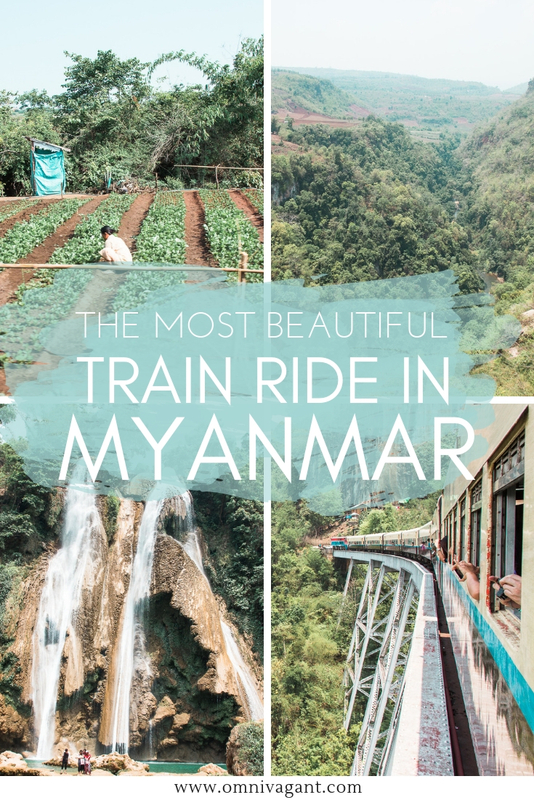 A scenic train ride that slowly passes along green fields, lush hills and some of the most stunning views of Myanmar’s nature, this train ride is a dream come true. 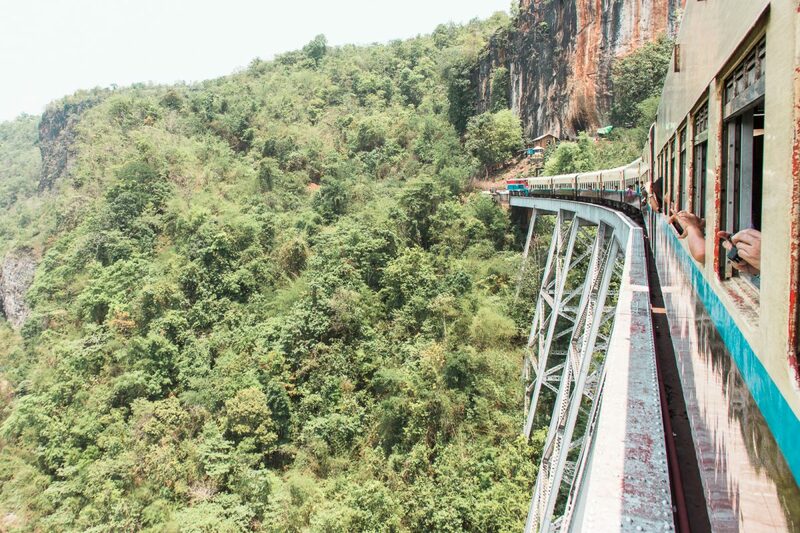 However, it is not a train ride for the faint-hearted as this train crosses the century old Goteik Viaduct over a 100m high gorge. And while for many people the highlight of the train ride, those with a fear of heights might want to skip it. 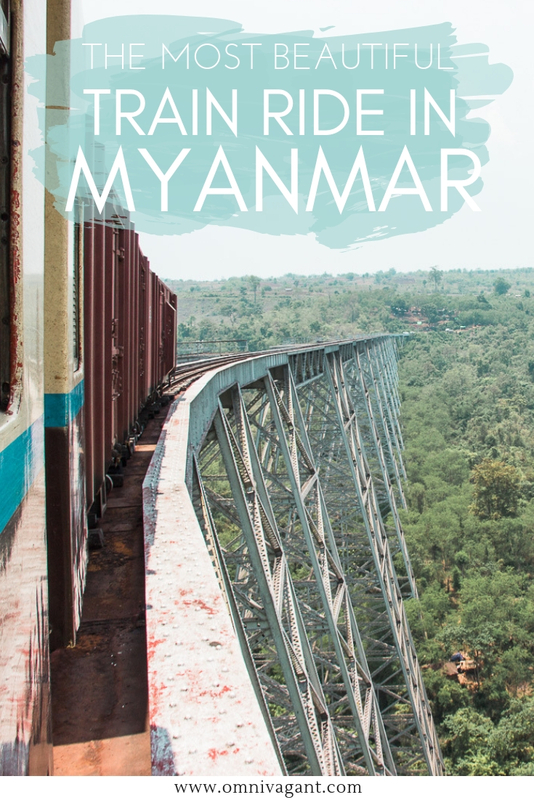 Intrigued, keep on reading to find out everything you need to know about crossing the Goteik viaduct, Myanmar’s most beautiful and scenic train ride. 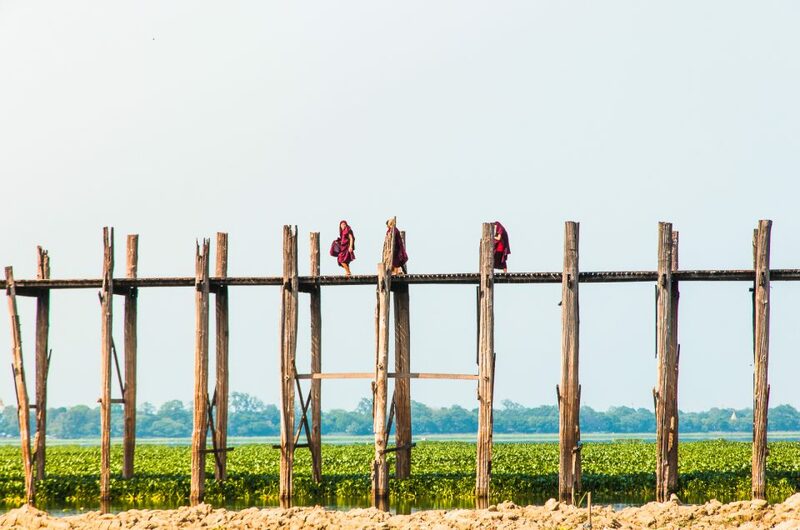 Myanmar’s most beautiful and scenic train ride originates in the city of Mandalay and stretches all the way North deep into the Shan state to the small town of Lashio. 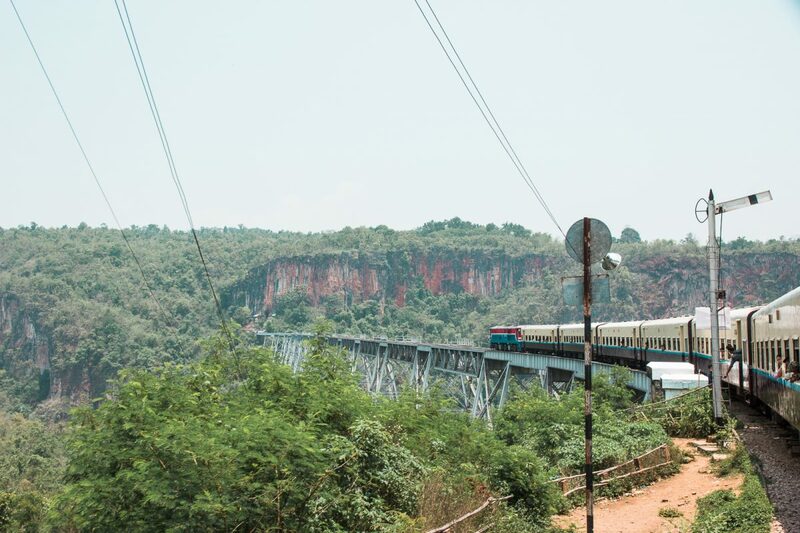 While the train ride is only 280km, the ride itself takes over 15 hours, stopping in some of Shan’s state most beautiful destinations, such as Hsipaw, and crossing the stunning Goteik Viaduct, also known as the Gokteik Viaduct. 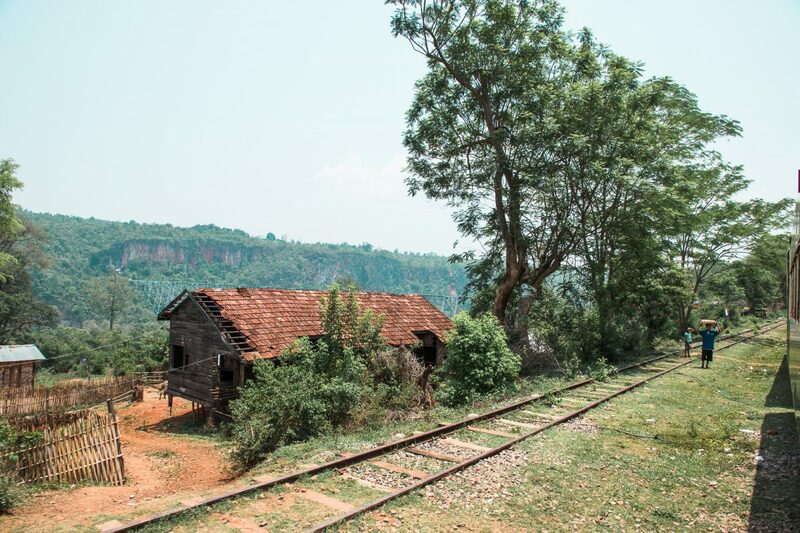 Now you don’t have to take the full train ride to experience the most beautiful parts of the ride, and most travelers will simply begin their journey in Pyin Oo Lwin and leave the train in Hsipaw. This part of the journey, considered the most scenic, stretches over 140km of railroads crossing through 6 hours of green scenery, lush mountains and the thrilling ride over the Goteik Viaduct. To give you a better idea of the train journey, check out the map below with a pin for the four most important stops, and the pin in yellow showing the Goteik Viaduct. While the train starts from Mandalay, the train only leaves once at 4am in the morning, and most of the train ride will be in the dark. With the total journey being over 15 hours, many people choose to start from the beautiful town of Pyin Oo Lwin instead, which is located roughly 1.5 hour by car from the city of Mandalay. To make your adventure to Hsipaw even more worthwhile, opt to head to Pyin Oo Lwin a day before going on your train journey to explore some of its surroundings. 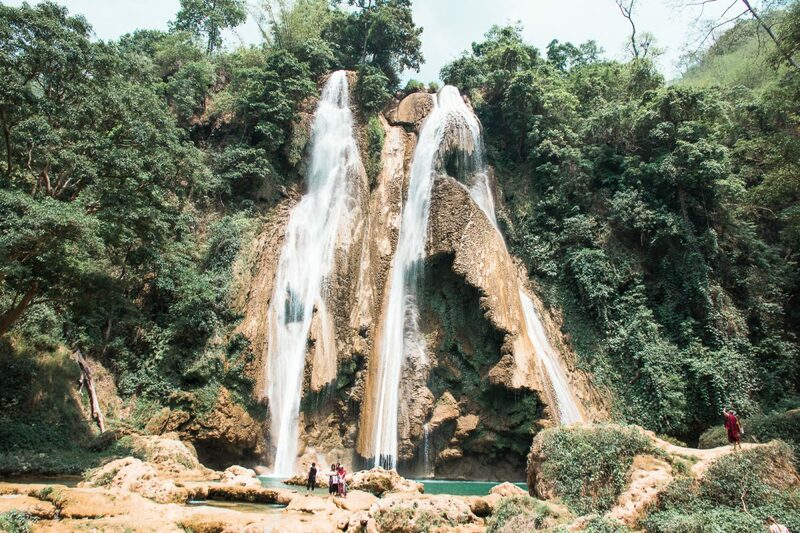 Take a day to walk around the town or hike to the beautiful Anisakan Waterfalls, one of the most unforgettable things to do in Mandalay, and take a refreshing dive in the cool water. Pyin Oo Lwin is the perfect place to spend the day and the next morning you won’t have to wake up as early, instead of leaving at 4am, the train leaves roughly around 8am (in 2018) from Pyin Oo Lwin! With the rising popularity of the train ride and travelers visiting Pyin Oo Lwin more and more accommodation is popping up all over town. Check out the accommodation in Pyin Oo Lwin below and reserve your bed for the night. The Goteik Viaduct, the highlight of the train ride, and the reason many travelers are taking this train nowadays, is located roughly half way through the ride. So sit back for the first couple of hours and enjoy the view. The train does not pick up on speed, and will slowly make its way through the hills and mountains of Northern Vietnam, making this one of the more relaxing activities to do in Myanmar. 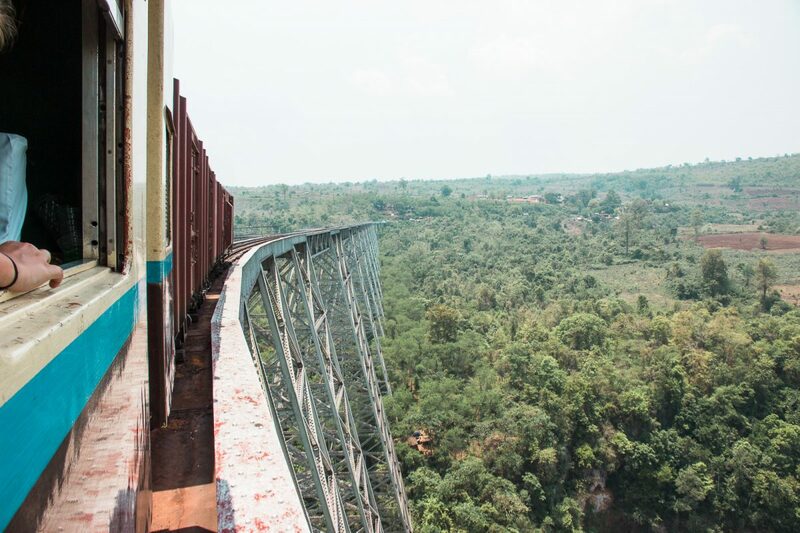 The Goteik Viaduct is the highest bridge in Myanmar with construction starting in 1899, and upon completion in the year 1900, it was the largest railway trestle in the world. The viaduct has a total length of 689m and the tallest tower has a height of 102m. With the bridge being over a century old, it could be considered an architectural masterpiece. Be sure not to fall asleep during the train ride, as this is a stop you don’t want to miss. Upon booking your ticket make sure you have a window seat on the left side of the train (when going from Pyin Oo Lwin to Hsipaw) to get the best views. This way you can see the full bend of the train riding over the viaduct, before disappearing into the green hills of Shan state again. The adventure doesn’t have to end here. Upon arrival in Hsipaw be sure to book accommodation for a couple of nights and do a trekking to explore some of the beautiful nature of Myanmar and the Shan State. Trekking in Hsipaw is something that is on many travelers Myanmar bucket list nowadays, so be sure not to miss out. Tours and trekkings can easily be booked from the comfort of your guesthouse, with Mr. Charles Guest House being one of the most popular options in town. At Mr.Charles Guest House you can choose between a variety of tours, including half day tours with boat trips, a full day trekking or even over night trips with local homestay are available. 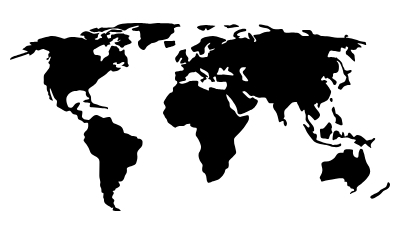 In each category there are multiple tours trips to choose from and are all guide by a local guide. 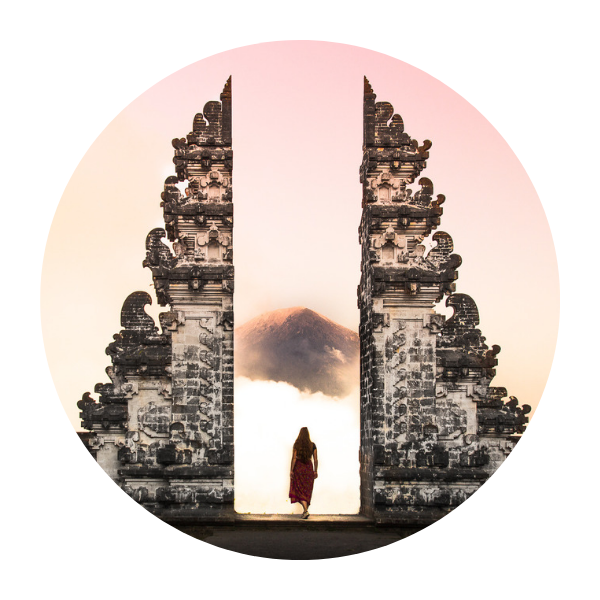 Tour prices depend on how many people join the trip, and solo travelers can easily join other groups of hikers to keep their travel budget down. 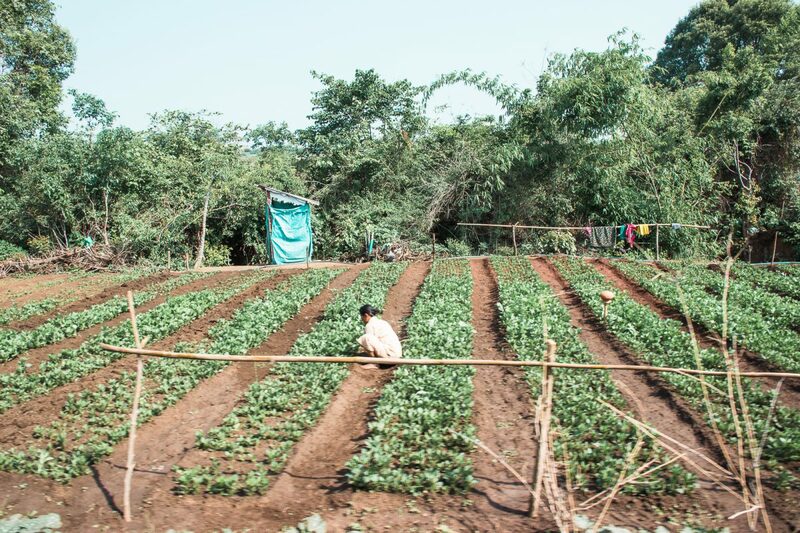 We did a full day tour and highly enjoyed our experience hiking through green fields, learning more about the local culture and wandering around the beautiful villages in the surroundings of Hsipaw. Goteik Viaduct Train class – The train ride is cheap, but be smart and buy a first class ticket, the seats there are a lot more comfortable and you will have a lot more leg space. 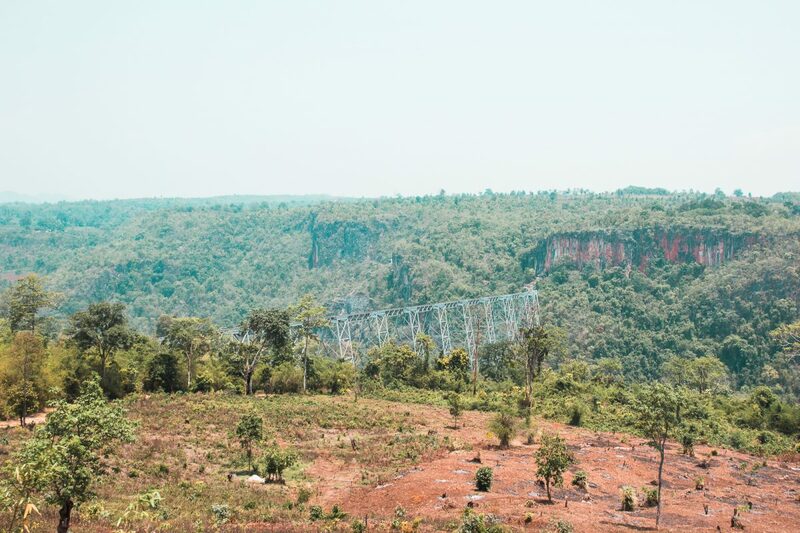 Goteik Viaduct Train Ride Price – A first class ticket from Pyin Oo Lwin to Hsipaw will cost you 2750 Kyat, which is less then 3$ (in 2018). The train will depart roughly at 8am and around at 2.30pm in Hsipaw. As train schedules are subject to change be sure to check the right schedule a day in advance at the train station! 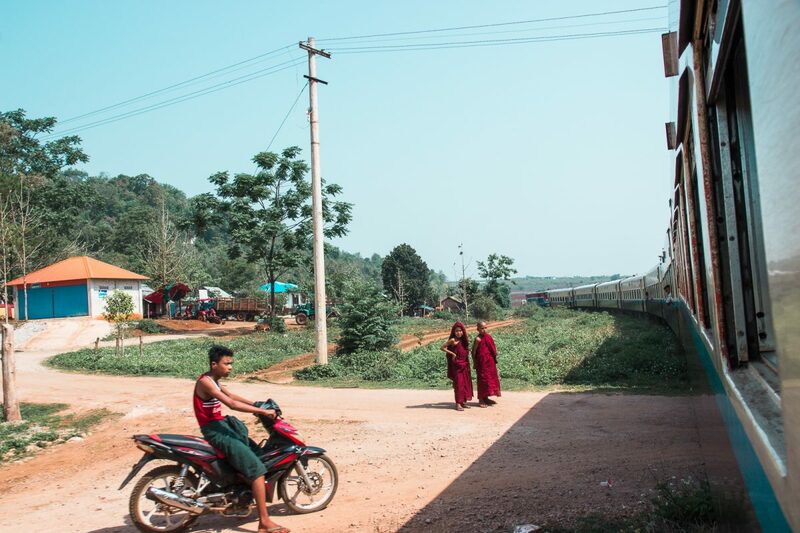 Train from Pyin Oo Lwin to Hsipaw duration – The train goes slow… and no it will not speed up in half an hour or an hour, it really does go slow and steady so be prepared for an approximate 6 hour train ride. Food on the train from Pyin Oo Lwin to Hsipaw – While some snacks and drinks are sold on the train, be sure to stock up on some cookies and perhaps even a lunch in advance. Also be sure to bring enough water, as you never know when they will stop by again to sell drinks. Buying the train ticket in Pyin Oo Lwin – Buy the ticket a day in advance to be sure you have a good seat reserved on the train. And as the train only leaves once a day be sure to be on time to find your seat! And those are basically the most important things you need to know! Find your seat, sit back, and enjoy the slow but scenic ride. 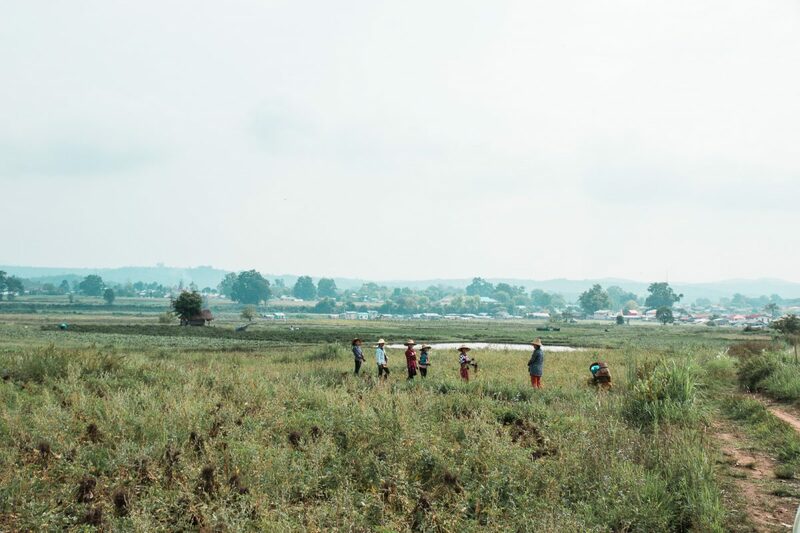 You will cross farmer’s fields, monks walking around the villages and kids playing in the field. So there you have it, the most scenic train ride of Myanmar. Yes it might be slow, but it is a day well spent! 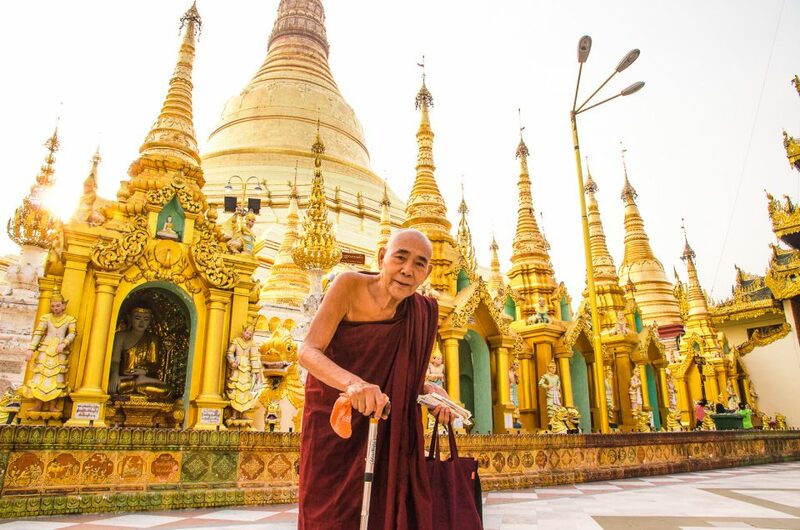 In case you are planning to go out there, be sure to check out our complete Myanmar Travel Guide! 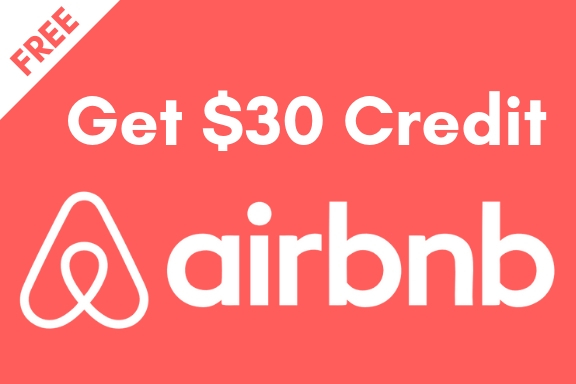 It includes basic information, destination recommendations, where to sleep and much much more. Oh, and don’t forget to pin it!